Polycystic Ovary Syndrome (PCOS) is a leading cause of infertility and is one of the most perplexing health issues of our time. In fact, because doctors aren’t sure what causes it, combined with the fact that women with this issue can present with a multitude of symptoms (which may not be the same from woman to woman), there has been a push for a name change for PCOS. Having metabolic risk factors or a metabolic syndrome is the reason why many women have PCOS and, as a result, researchers and healthcare providers are questioning whether metabolic-related PCOS might need another name. PCOS is becoming an increasingly common fertility-health condition affecting women of all reproductive ages and has multiple presentations. It is a benign condition that is the most common cause of anovulatory infertility. The challenge in diagnosing and naming it is that no two cases of PCOS are the same. The definition of “polycystic” is “having many cysts”, yet some women do not have cysts; rather, they have several of the other symptoms. “Patients read into the name and just think, ‘Okay, this is about my ovaries, it’s really not about anything else…’ But from a doctor’s perspective, the most worrisome aspects of the disorder are the long-term consequences, such as diabetes.” – Dr. Melissa Goist, ObGyn. Although many women present initially with having high metabolic risk, metabolic syndrome and/or metabolism-related symptoms – insulin resistance, high blood sugar, obesity, high cholesterol, and high blood pressure – are not yet widely included in current diagnostic criteria. According to the National Institutes of Health, “About one in three women with PCOS also has metabolic syndrome.” Although metabolic contributors are acknowledged by many healthcare providers, the symptoms and metabolic-related risk factors for this disorder are not identifiable on ovarian ultrasound tests, or apparent to radiologists/sonographers who are not trained to notice them. Prospective studies indicate that the form and structure (size, shape, or indication of past or present cysts) of an ovary alone does not identify those women with metabolic risk factors, or who have had past metabolic disease. Should PCOS Go By More Than One Name? The National Institutes of Health (NIH) – The NIH identifies endocrine system malfunction as a result of the presence of hyperandrogenism and chronic anovulation, acknowledging both as primary contributors to PCOS. The Rotterdam diagnostic criteria which identifies reproductive dysfunction (enlarged ovaries, multiple cysts, etc.) as the primary contributor to PCOS. Two names being milled upon are “metabolic syndrome” and “metabolic reproductive syndrome”, according to the Renaming PCOS–a two-state solution article, but a new name has not been coined… yet. Creating another name comes with difficulty as a result of the multiple contributors to having PCOS. To add another layer to the debate is the recent publication of research in August 2015, which has identified an area of genetic markers in the DNA of women of European and Chinese descent, as a possible contributor to the development of PCOS. Understanding the various presentations of PCOS and how these variations affect treatment options is an important first step. The article The Many Faces of Polycystic Ovarian Syndrome will teach you these presentations, but be sure to ask your healthcare provider to explain to you what type of PCOS it is that you have. 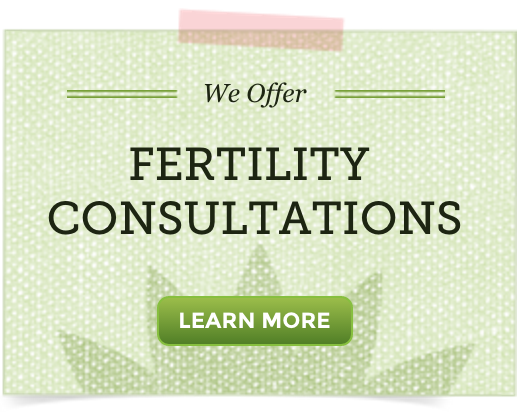 This will help whomever you choose to work with to create the best PCOS fertility-health program for your needs. Can Going Gluten Free Reduce PCOS Symptoms?